People with ADHD have to make great efforts to perform usual tasks, no matter if it is in the classroom, at work, or in the kitchen. A safe and effective treatment would really come in handy. Unfortunately, the existing medications have a long list of side effects, and consultations cannot help everyone. Did you know about neurofeedback? Who knows? It might become your personal panacea. and the manifestations of hyperactivity and impulsivity. The first group includes such symptoms as forgetting necessary things, as well as the inability to concentrate on tasks, follow instructions, and organize and follow a daily schedule. The other side of ADHD comes up with restlessness, excessive talking, and the inability to wait and sit still. What Should You Know About Neurofeedback Therapy? Can This Therapy Help with ADHD? Traditionally, ADHD is treated with medications, behavioral changes, and psychotherapy. Adderall and Ritalin are the most widely known drugs for this malady, as they are brain stimulants that improve cognitive control, attention, and alertness through maintaining the normal performance of dopamine and norepinephrine in the central nervous system, or CNS for short. 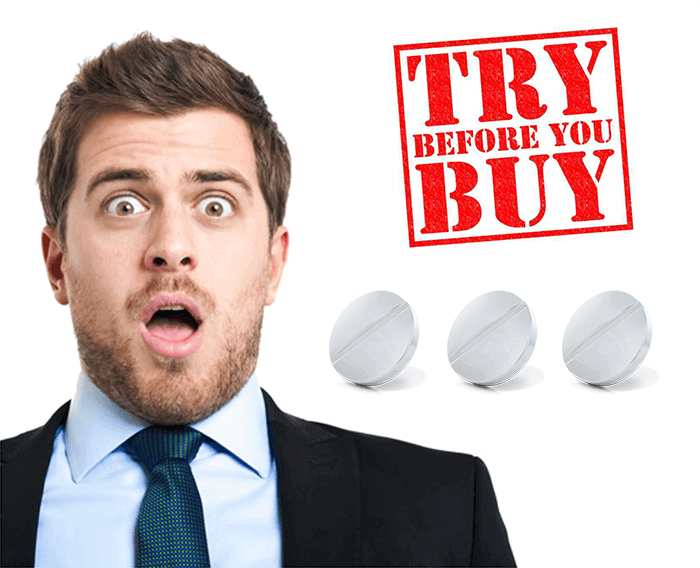 These medications are effective and approved by American medical authorities, but their downside is the variety of adverse reaction they cause. Ranging from bad appetite and troubled sleep to a high risk of addiction, cardiovascular issues, depression, and erectile dysfunction, these side effects make the drugs intolerable for many people. You may change your daily environment and habits, sometimes it alleviates the symptoms, but it will not help for long. Regular consultations with a therapist are also not very convenient, as they require lots of time and money. There is one more option for people who cannot use drugs or visit a shrink for whatever reason. Ask your health adviser about neurofeedback (further referred to as NF) treatment, as it can be ideal for you. Let’s have a brief look at this method together. The idea to use real-time electroencephalography, or EEG, feedback to train the brain is not new. It comes from the late 60s – early 70s of the past century, when the pioneers of the biofeedback method applied it to check if their examinees could distinguish between their brain waves by relying on their feelings only. It was hypothesized then, that an individual can regulate his or her neural activity voluntarily. Nowadays, neurofeedback is a therapy which uses EEG brain mapping to help patients tune their own brains and make them work better. What possibilities does it give in practice? Imagine, you have an important interview and must concentrate on preparations, make some notes, bring thoughts to order, etc. Instead of doing so, you are agitated, your mind is scattered, and your brain won’t stop sending signals to panic with no solid reason. Or vice versa, you do not want to do anything, remaining apathetic and numb. These are the cases of undesired over- and understimulation. Neurofeedback provides the possibility to actually see the current state of your brain on the screen, and eventually to teach you how you can change it on your own will. Let’s start with the brain waves. The human brain never stops working and while doing its job, it emits electromagnetic waves. Large groups of neurons there work synchronically, producing rhythmic electrical pulses. The brain wave is actually the depiction of this oscillation, which you can get from an EEG and see the frequency of your brain’s activity. When we are performing complex intellectual tasks which require high attention and concentration, the brain produces beta or gamma waves, which are 14-30 Hz, and higher. In sleep, the activity of the neurons is notably lower, and the frequency of the brain waves is not higher than 8 Hz. The modern NF equipment includes electrodes that are fixed on a patient’s head, earphones, and the screen with the brainwaves’ live printout. A doctor gives a patient some task, and they both watch how the neural oscillation changes. 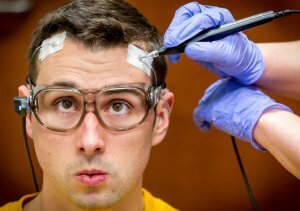 The practitioner gives his examinee the interpretation of the EEG, so that they can compare the current brain activity to the desired one. If and when the EEG shows that the brain works efficiently, the patient gets a reward. For example, the music plays when the brain waves are “good” and stops when they are “bad.” It may also be a movie or a video game, instead of music. This method is aimed at showing patients how their brainwaves depend on their actions and exercise their brains so that they could reach necessary states when needed. For example, let’s take an individual who copes with serious anxiety issues. He cannot stop worrying about nothing, losing his temper, and seriously affecting his professional life and family. The NF practitioner lets him play his favorite video game and measures his brainwaves. As long as the brain works fine and there are no signs of anxiety on the EEG, the game goes on. It stops when the patient moves back towards irritation and overexcitement. After a couple of sessions, the individual learns to recognize his brainwaves relying on his inner feelings, and then later learns to control and regulate them deliberately. With each session, the tasks get more and more complicated, thus it gets harder for the patient to control his emotions. If he wants to play his video game, he has to learn how to bring his mind back to a calmer state. One session lasts for about half an hour, and the number of sessions depends on the problem that needs to be solved and how the patient progresses during the trainings. individuals with brain injuries may be extra sensitive to neurofeedback therapy. Re-regulation of the brain performance may cause slight nausea and disorientation, but this is not dangerous and is a part of the process. Since the therapy is totally under the control of a healthcare professional, you will know when your brain is tired before this becomes problematic, thus you will be able to change the training plan in order to adjust it to your needs and capacities. The results of the NF studies are rather controversial. Researchers from the Brainclinics Diagnostics in the Netherlands have found this method effective for treating inattention and impulsivity. French research, done in 2014, showed the same results, and the experts agreed that neurofeedback is effective for certain ADHD symptoms. However, there are many studies that do not prove the benefits of this therapy. The investigation, which was done by scientists from different universities in the United Kingdom in 2016, included the measurements of 13 clinical trials of neurofeedback therapy. After the analysis was done, the researchers did not find enough evidence of NF efficacy. They also claimed that this method needed further development. Particularly, the universal standards for neurofeedback treatment, as well as for the evaluation of its results, should be applied. Three years earlier, two neuropsychologists from Norway compared the effectiveness of stimulants for ADHD to that of neurofeedback. 32 children participated in the experiment; 16 of them were administered with drugs, the other half underwent NF trainings. The results were not in favor of the latter, and the researchers have asserted that this therapy required better selection of patients and certain improvements in training and technology transfer. As you can see, both proponents and critics of NF treatment have their arguments for and against this method. There is no common understanding on the frequency and number of trainings to be done in order to see the first health improvements. A big part of currently available NF trials were not designed properly, as their participants were not assigned randomly and experts often suggested further research. On the other hand, there are many examples of successful alleviation of anxiety, inattention, impulsivity, and other symptoms. While scientists are arguing about the efficacy of NF therapy, practitioners claim that despite the certain weak points of the current clinical trials, the existing evidence is enough to accept this technique as a working tool for ADHD treatment. At least, it can be a complementary remedy, as it can assist medications or behavioral therapy in combating the symptoms of this disease. Oftentimes, it results in bad grades in school, and can even lead to lower IQ scores. There is no common opinion about the causes of this disorder. Some experts say that this is a genetic malady, and they base their supposal on a number of studies, proving that siblings of ADHD patients have higher risks of developing the same illness than those who have no ADHD cases in the family. Environmental and social factors may also induce the development of ADHD in kids. Alcohol and tobacco abuse during pregnancy and exposure to various toxic substances may be the roots of the neurodevelopmental problems, which are associated with attention deficit hyperactivity disorder. Conflicts and misbehavior in the family, as well as neglect, abuse, or brain injuries can be a reason of ADHD-like symptoms, too. It was noted, that ADHD patients have an impaired neurotransmitter system. More particularly, they show abnormal dopamine and norepinephrine activities. However, there is a theory that these alterations are not the cause, but the consequence of stimulant intake. The observations of the brain structure in ADHD affected kids showed that they have their prefrontal and posterior parietal cortex thinner than children without the disorder. Other parts of the brain, such as hippocampus, amygdala, dorsal striatum, etc., were also smaller in patients with diagnosed ADHD. 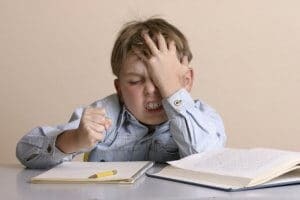 The symptoms of attention deficit hyperactivity disorder are allied with impaired cognitive processes, such as working memory, response inhibition, and attentional control. These executive functions help people organize their time, set goals, and achieve them, as well as stay concentrated and control their emotions. The reward system is also affected by ADHD, which means that the patients cannot focus on long-term rewards. Their impulsive behavior can be explained by the lack of motivation and excessive strive to get a short-term reward. 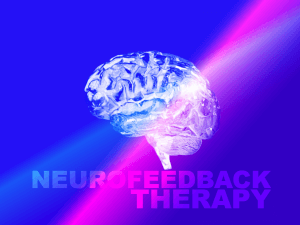 What Results Can You Get with Neurofeedback? More than 40 years of study show that EEG biofeedback cannot cure attention deficit hyperactivity disorder completely, but still it can help significantly alleviate some of its symptoms. Clinicians from the FPI Attention Disorders Clinic in New York conducted research in 2002 where they compared the efficiency of different ways of ADHD treatment. 51 out of 100 patients got NF therapy, in addition to stimulants, counseling, or academic support in the classroom. The brain mapping, made in the posttreatment period, showed notable improvements in cortical functioning in those individuals who received NF trainings. 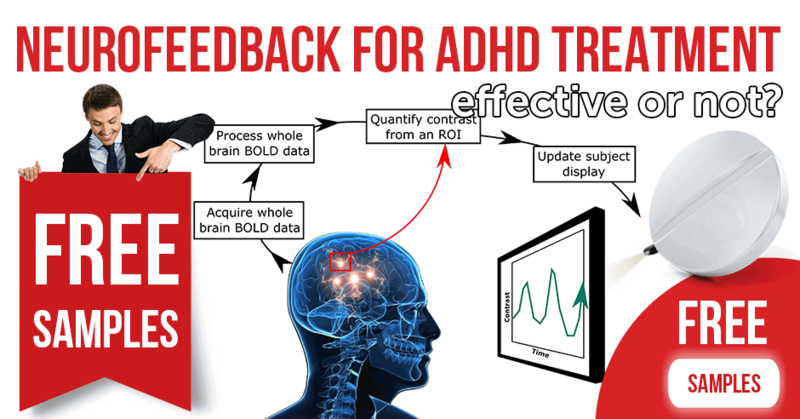 What can this practically mean for people who try to combat ADHD with the help of neurofeedback? Doctors from the University Hospital of Tübingen, Germany, evaluated the effectiveness of the NF therapy in ADHD children. The participants of the experiment have learned to control and regulate their brain activity, had better attention, and showed increased IQ after 30 NF sessions. These effects were evaluated 6 months later, and the results remained the same. Dr. Victoria Meisel and her colleagues from the University of Balearic Islands compared the effects of 40 NF sessions to those of Ritalin administration. They concluded that the curative effects of neurofeedback is evident half a year after the treatment, moreover, only this method resulted in notable improvements in studying. Thus, to sum it all up, we can say that the practical implementation of neurofeedback therapy shows that this technique can increase attention and alleviate hyperactivity, which are two major problems of ADHD. It also trains individuals to control their behavior and emotions, decreases anxiety and stress, and eventually elevates learning skills. However, this is not widely accepted, and some doctors still prefer relying on more traditional methods of ADHD treatment. 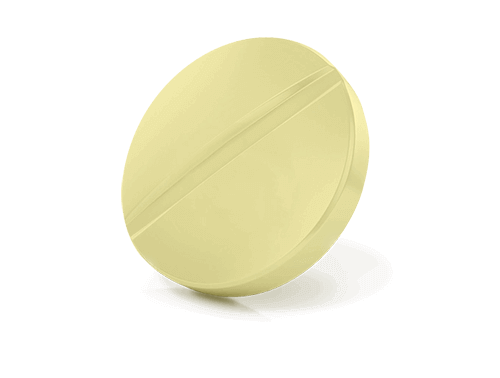 As we have already mentioned, the commonly used medications for attention deficit hyperactivity disorder are rather unsafe, especially for kids. 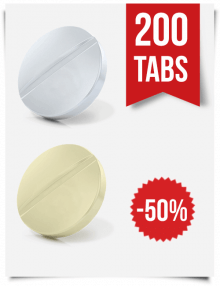 Adderall and Ritalin are brain stimulants, and their administration cannot go unnoticed. 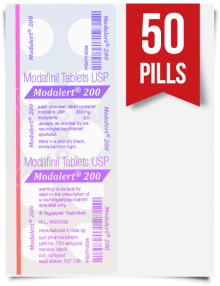 If you face problems with attention and motivation and you need something to enhance your professional or learning skills, we can recommend you the well-known nootropics, modafinil and armodafinil. 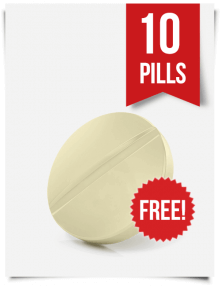 These pills are commonly referred to as “smart drugs,” and not without a reason. 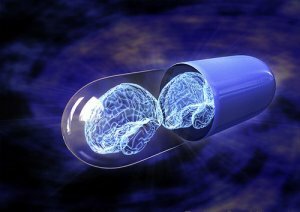 Just like methylphenidate and amphetamines, these medications increase the level of dopamine in the brain. This neurotransmitter plays the key role in such cognitive functions as focus and memory, and it is also involved in the reward system of humans. Modafinil and armodafinil smoothly but effectively help people overcome dopamine deficiency and problems, which are usually alleviated with this malady. ADHD symptoms are among them. You may have seen the tablets Provigil and Nuvigil, which are officially certified brands of these drugs. 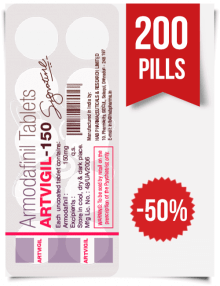 You can buy them only with a prescription, and for a high price. But not in ModafinilXL! 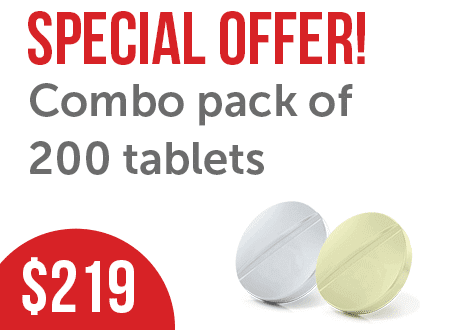 Our online pharmacy offers the best generics of the world-famous smart drugs without bothering with endless doctor’s consultations and breaking your budget! 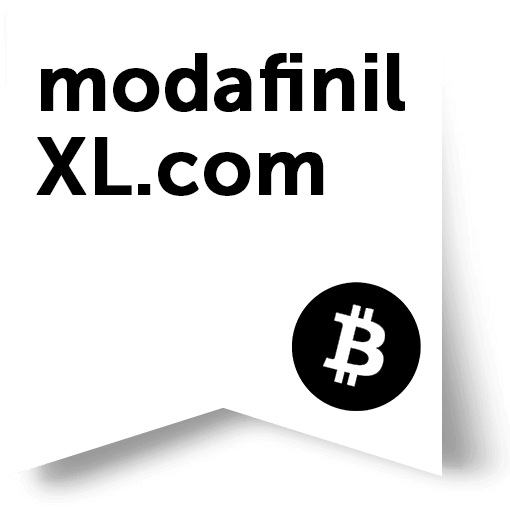 You can try the reputable Modafinil 200 mg, or our novelty Vilafinil, also available in 200 mg. We accept Visa and MasterCard, if you prefer bank payments, but if you like complete privacy, you can pay with bitcoins. 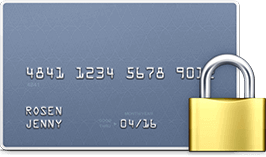 By the way, you will get 35% discount for paying with bitcoins! Fast and reliable shipping service, huge experience on the market of nootropics, friendly and helpful support center — these are only some of the reasons why you should stay with us. Here you can read the reviews from experienced users, as well as find the answers in the informative and interesting blog, let alone our bonus and reward system! 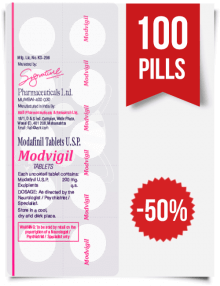 But the main reason to become our regular customer is the highest quality of our medications from the reputable Indian manufacturers. With ModafinilXL you can be completely sure that ADHD will never come back.